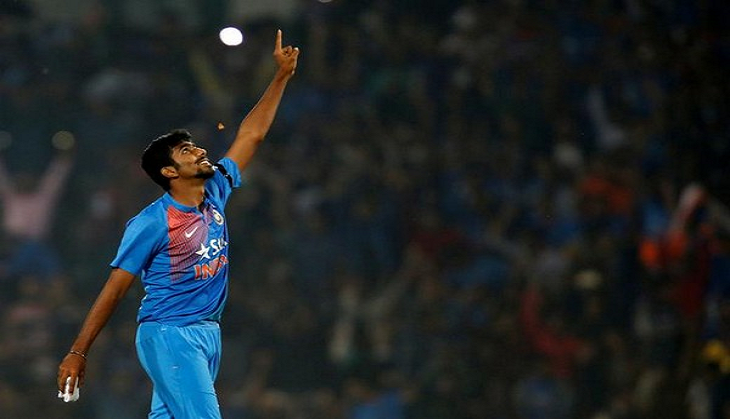 Jasprit Bumrah, the hero in India's emphatic win against South Africa to seal the semi-final berth in the ongoing Champions Trophy, has insisted that he has been trying to stick to basics which have so far helped him in the tournament. India entered the semi-final of the Champions Trophy in style, keeping its title defence alive with an eight-wicket win over South Africa at The Oval on Sunday. While the batsmen finished things off in 38 overs, it was the bowling attack that set the win up, bowling out Proteas for a paltry 191 in a Group B clash that was a virtual quarter-final for both teams. The feature of India's bowling was how well the team hunted in a pack. There was no single standout performer, with each of the five bowlers getting among the wickets. But the leaders of the attack were the pace duo of Bumrah and Bhuvneshwar Kumar, who set the tone early. The two complemented each other superbly in the first 10 overs, neither offering much to South Africa's openers and each contributing to a very quiet start. "It's my first visit to England, and the wickets have been different to what I expected," Bumrah told ICC after the win. "But it's been a good challenge for me, a good challenge to contain batsmen. To bowl in tough conditions gives you a lot of confidence. It's been a different experience for me. Usually, in England, the ball swings, but over here the wickets are very hard and good to bat on. So we're very happy that it was a good bowling effort for us." That experience has included what is customary now for India in white-ball cricket - Bumrah being tasked with the toughest overs, especially at the death. "It's always good if the captain has so much faith in you and shows so much confidence in you. That always feels good," he said. Bumrah's tournament economy rate of 4.47 puts him in the top bracket among bowlers from all over, and he revealed that containing batsmen was one of the strategies the team had adopted in the face of non-helpful conditions. "The basic plan was that since the ball was not swinging too much, we were just trying to bowl good, hard lengths," he revealed. "We were trying to contain the batsmen. That was our basic plan." "It made an impact because everybody chipped in and everyone was containing batsmen. They wanted to hit, but couldn't," he added. India will almost certainly face Bangladesh in the semi-final at Edgbaston on June 15.